As the summer boating season enters full swing, states are moving to curtail a peril on the water - boating while intoxicated. Alcohol is the leading contributing factor in fatal boating accidents involving the USA's 12.4 million registered boats, the U.S. Coast Guard says. There were 126 fatalities and 293 injuries in 330 alcohol-related boating accidents in the USA in 2010. "It's starting to get recognized that boating while intoxicated is just as dangerous as driving while intoxicated," says Lt. Cody Jones, a game warden for the marine enforcement section of Texas Parks and Wildlife Department. "You're in a 1-ton vehicle, but this vehicle doesn't have brakes, and there's no lane of traffic or stop sign to direct you." He and other experts say that many recreational boaters don't realize that stress factors associated with boating - such as heat, direct sunlight, vibration, wind and noise - magnify the effects of alcohol. "Alcohol has more of an impact out there," says Maj. Chris Huebner, North Carolina's state boating safety coordinator. "It can take as little as one-third the alcohol on the water as on land to be impaired." Danger on water The Lexington, Ky.-based National Association of State Boating Law Administrators is pushing for a national marine field sobriety test standard that would enable patrol officers to test boaters while they're seated. Other action: ..Starting July 1, the legal blood alcohol level of someone operating a boat in Iowa will be lowered from .10% to .08%. ..Oklahoma also lowered its legal blood alcohol level for boaters from .10% to .08%. ..North Carolina launched "On the Road or On the Water," the first statewide joint effort by police agencies to combat both driving and boating under the influence. ..Texas uses "no refusal" weekends, during which on-site judges work with police to issue search warrants to draw blood from suspects under investigation for boating or driving drunk who refuse a breath test. ..New York's state Senate passed a bill to change a law that allows someone convicted of boating under the influence to be considered a first-time offender even if they had a prior conviction for driving a motor vehicle under the influence. Many people are not aware that in Washington State "Boating Under the Influence" is actually a criminal misdemeanor offense. The charge of Boating Under the Influence is actually called "Operation of a Vessel Under the Influence of Intoxicating Liquor" and is governed by Revised Code of Washington RCW 79A.60.040. Our students at AACEA are the first line of defense against drunk driving (and drunk boating). AACEA provides alcohol server training which promotes responsible service and sales of alcohol. AACEA is hosting a raffle for students enrolled in our alcohol server training classes – sign up today and you’re eligible to win $100 from AACEA and Len Riggs. 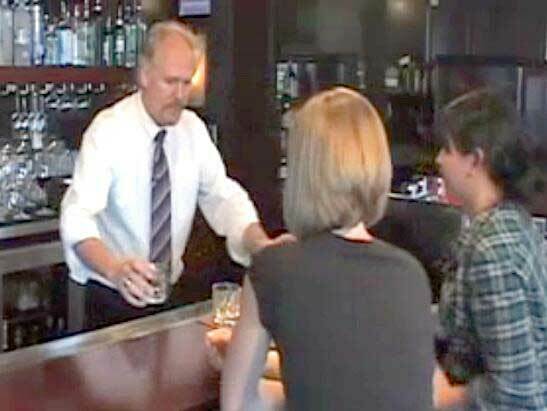 To get your alcohol servers permit in Washingtonvisit www.aacea.com. If you’re working in the Hospitality industry and are currently enrolled or enrolling in college, tell us what it means to you to be the first line of defense in drunk driving and you may win a scholarship for $500 through the Len Riggs and AACEA Scholarship to Save Lives Contest. Entries will be accepted until July 1st.